I said I’d make a post every time I get a new caller whose life is in agony regarding “work” they are having done by a gypsy psychic scammer. On my blog, you have complete anonymity, and no one’s real name would ever be divulged. Just the actual events are being related here. 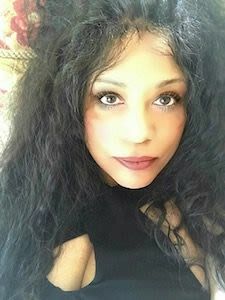 My new client told me she is going through very difficult financial times and this gypsy in her area is demanding that she open up bank lines of credit and department store credit cards to make expensive and large purchases for them. And she has done exactly that. She has to do it this way because she has completely run out of cash. I was a little surprised when she told me she was instructed to go to Neiman Marcus to buy 3 handbags. I say a little surprised because this sounds very familiar. Another one of clients was told to go to the same store but in another state. Today, my client told me she could only get one purse because she is running out of credit. Well, you can imagine what I had to tell her about the ever present gypsy psychic scam that is run locally in every civilized region of the world. She was told that when the psychic gypsy did work with the “orange,” it was black and filthy inside when she opened it, and that this has to coming from my clients negative energy. That she needed her to buy some particular merchandise (a big-screen TV) so that she could purchase a large box for the client where she was going to place all of her negative energy. My client is fearful of not going anymore because she was afraid she will be told to buy something else and also fearful of what they would do if she did not go. Certainly she has paid enough to remove the insecurity, confusion and depression in her life. This gypsy calls her and tells her where to go to buy specific items. Today she was to go to Bed Bath and Beyond and purchase the most expensive comforter they have. This prompted my client to start doing some searching on the internet about psychic scams (her reasoning mind kicked in), when she found my site. She told me she’d given her thousands of dollars and merchandise including 3 very expensive mens suits. Each time the gypsy said would be the last time. Please Visit this site to read about some justice for one of these scammers: News Story. Today, she has learned from me that this woman and her daughter are nothing more then criminals and they are stealing not only her money, but her peace of mind and she is very depressed and doesn’t even want to wake up in the morning. This is not psychic or spiritual guidance. It is simply a con game and they are very good. Does this sound like anything you are going through or have been through? Please feel free to contact me with your experiences. I feel so bad because it’s not likely you will recover money lost to these psychic scammers. But every single day, someone new who is feeling helpless and vulnerable is being exploited by these people. They will not stop until they have taken all of your money, credit or anything of value, including your jewelry. When all is gone, you’ll never hear from them again. Another warning, a psychic advisor will never call you to ask you to make purchases from department stores or open lines of credit for them. In fact, unless you have called a psychic adviser, they should not and would not be calling you except to return your call. Wow! I don’t think I would ever fall for anything like this. Sounds too crazy to me. But I guess I can also understand that when one is in a bad situation any kind of help might seem to make sense. Yep, and when they realize that it was a scam, they are so hurt and also so embarrassed. That’s exactly why people never say anything about it to anyone, and those gypsies continue to thrive laying in wait for their next victim. That’s why I’m giving it so much exposure, so that people looking for real spiritual guidance will know BEFORE they get caught up with these people. or is it just gypsy are all black people are bad and italian in the mob are all white men srial killers?why is your blog only about bad gypsy psychic!!! My site is not all about bad gypsy psychics. This is a subcategory and a serious topic. I talk about psychics because this is a psychic blog, not a blog about race. 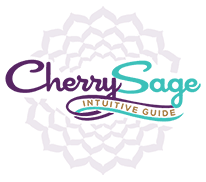 I have a huge following on the topic of Numerology (which is very difficult to fake) and my site and blog covers many, many aspects of psychic readings. My blog does expose the pitfalls people encounter when seeking psychic advice and my followers thank me. As someone who has called hundreds of psychics, I have found there is profound lack of professionalism out there, not to mention a lack of authenticity. My visitors are very appreciative of the information I have provided. Some of it is about the “BAD” gypsy psychics, who are very destructive and hurt peoples’ lives. The information I provide on my site is truthful and I help people with truth in their lives–by providing excellent relevant content about psychic readings. If BAD gypsy psychics is not something you want to read about, how did you find yourself on my blog? And, since the information is helpful and not intended to hurt anyone (maybe it hurts those who are being exposed for their dishonesty), but to inform people, why would someone complain about it? All psychics are not bad, just the bad ones. Are you a bad gypsy psychic? I question someone who objects to exposing the bad stuff out there about bad psychics, which includes the fortune telling scam and other cons. Why would anyone object if they are on the side of truth and honesty. As for your comment about blacks and Italians, sounds like your argument has not been very well thought out. 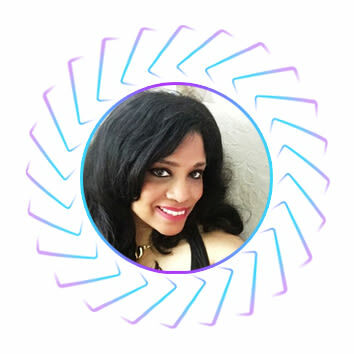 Psychic con artists do not fall under racial or ethnic groups; however, your defensiveness on the subject reveals you feel victimized by this content and that you shun the limelight of exposure! Gypsy frauds have a very long history in the gypsy [con]fidence game culture. You cannot compare a criminal group with a race of people, although you can try in defense of your self. I do believe your comment speaks volumes about you and who YOU are. Advantageously, the post is in reality the sweetest on this worthy topic. I fit in with your conclusions and will eagerly look forward to your upcoming updates. Saying thanks will not just be sufficient, for the fantasti c clarity in your writing. I will immediately grab your rss feed to stay informed of any updates. Genuine work and much success in your business endeavors! I was taken for about $15,000.00 8 years ago by a gypsy out of Florida. She had me get a credit card because I didn’t have the money to pay her. I maxed it out and have never caught up with my credit since. It was a family thing also because I talked to the husband and kids and they all made me believe she was helping me. Hello Sue, I totally understand your pain and exactly what you have been through. So many have fallen victim to the gypsy scam. They simply feel that if they make you feel good it is OK to cheat you. This is their philosophy. I received your email and I will respond as soon as I can. Thank you for your post. People need to be warned. I just got scammed for $3000 2 days ago and I went to police department today and I will sue this person and get my money back. I can’t believe these people. They took advantage of you when you are crying and valurable and need help. Any suggestions, feel free to let me know. There is a very dispicable psychic fraud working out of her home and a business location named (PSYCHIC READINGS)in Dallas,Texas. The home is located on Mockingbird Lane in Dallas. They use various names like Cathy Marks, Kathy Leath, Nicole, Ann Newman, Dorothy Marks, Dorothy Leath to name a few. BEWARE of these women because they will hustle you out of your hard earned money and they only care about themselves. The tactics they use are fear and intimidation. They will tell you of a evil spell that has been put on you by someone and for large amounts of money, they can help you remove these bad spells. They also scare you concerning money troubles you will have and health concerns to be aware of. Stay away from these evil women folks. Thanks for your post Brian. You are right, they are evil. I found this site recently that explains in detail the origins and how this criminal group was spawned and evolved to what it has become today. Spot on with this write-up, I truly believe this web site needs a lot more attention. I’ll probably be back again to see more, thanks for the info!